Hello!!! I hope everyone has enjoyed their weekend. It's been very snowy near where I live though the most of it missed me! I'm OK with that!! It was still a good weekend to stay inside and play at some challenges! I decided to link cards for Paper Play Sketches 29 and Lost Coast Portal to Creativity #32. I used Club Scrap's January 2017 kit Color Me Happy for both cards. Here's the sketch for Paper Play Sketches. And here's my version! I LOVE the printed papers with this kit! Batik inspired with gorgeous colors! LOVE. Here's my card for the Lost Coast Portal to Creativity challenge-Anything Goes. 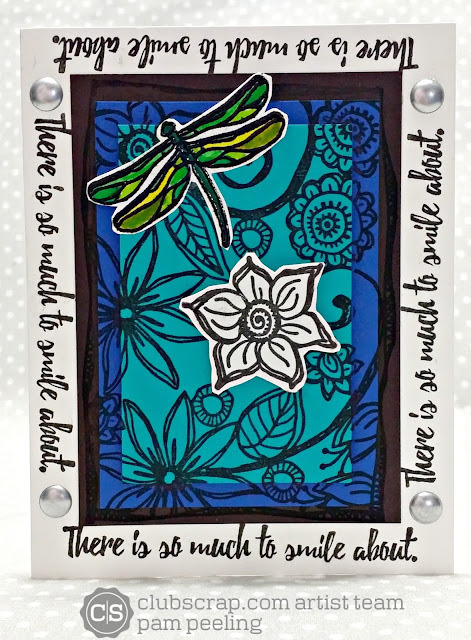 I used black embossing powder on the dragonfly and colored it in with markers. All stamped images are from the Color me Happy kit-unmounted rubber stamps. I popped up all the layers using foam pop dots. It really gives the card a nice dimensional aspect! 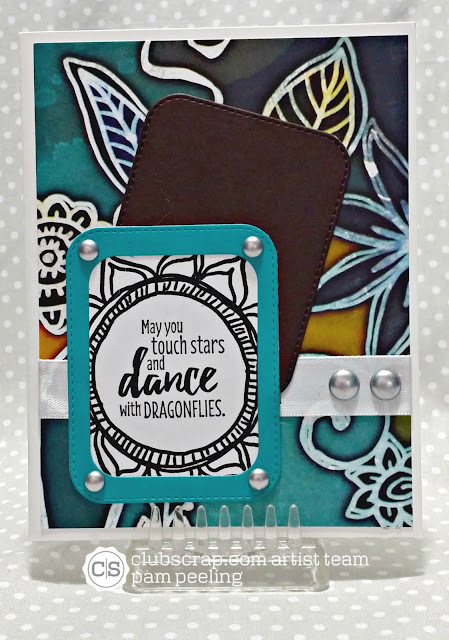 Love this stamping on multiple layers at once technique-Triple Mat Technique. It was very easy to do and so versatile-I used 3 different colors of papers. I usually see it with all white but decided to try this. I think it came out great! These are both awesome Pam. Love your interpretations of the sketches and the layering! Beautiful cards, Pam! I love wintery weather craft days! Love your cards and the stitched rounded rectangle you used on the first one. 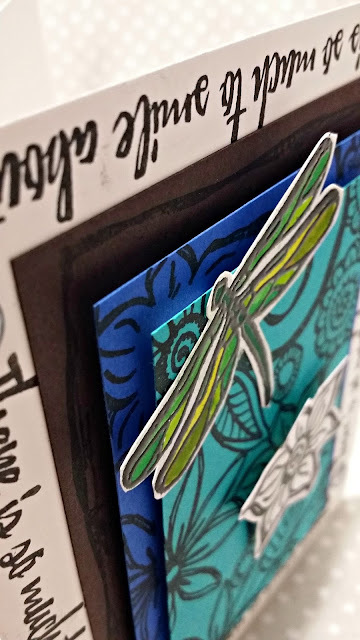 Thanks for linking up at Paper Play Sketches! Gorgeous cards! Love the strong colors and wordings that goes around, and of course the dragonflies; so beautiful! Thank you for joining Lost Coast Anything goes -challenge, Happy New Year 2017! added the text all around the second card.